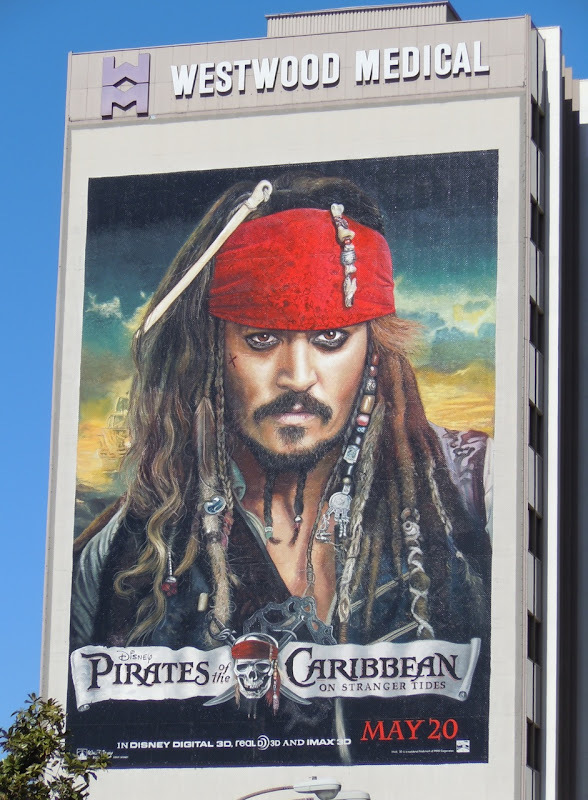 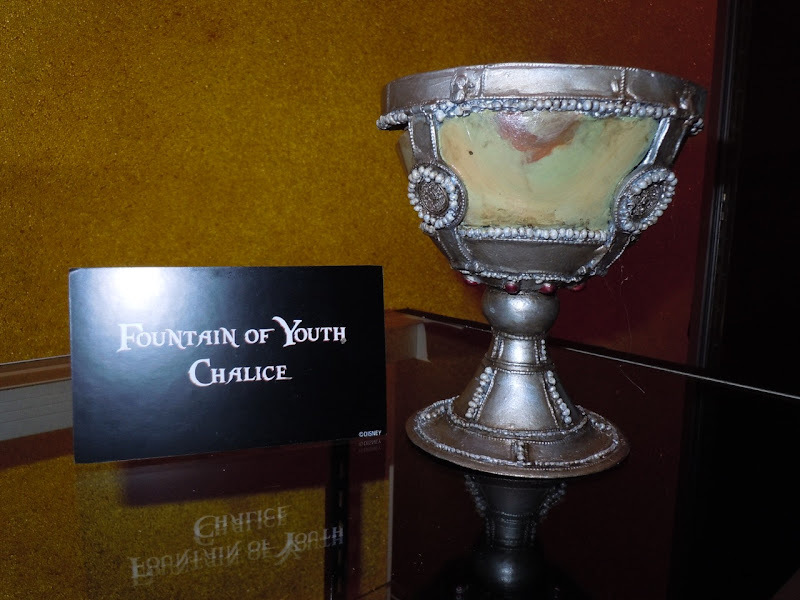 Not only does Pirates of the Caribbean: On Stranger Tides pit Johnny Depp's 'Captain Jack Sparrow' against zombies, mermaids and the infamous pirate 'Blackbeard', but it also features the quest for the fabled Fountain of Youth. 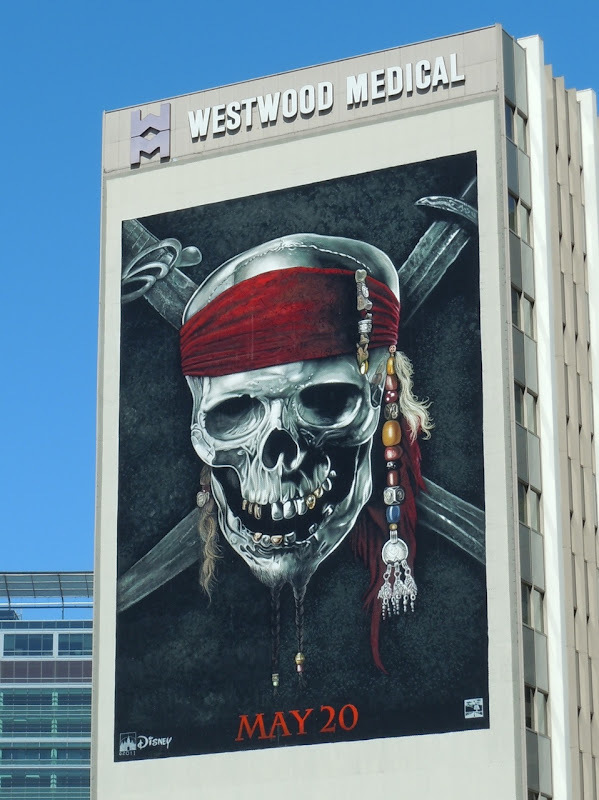 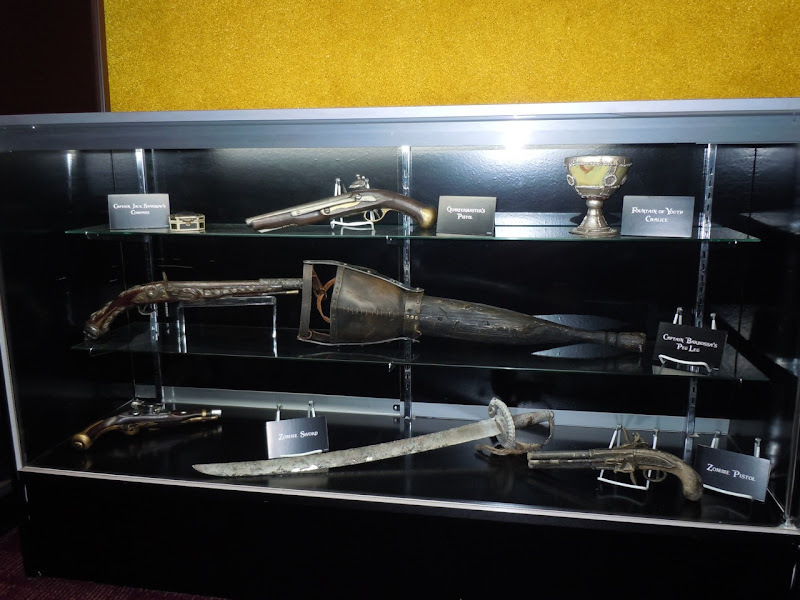 Here are just some of the actual props used in the fourth Disney Pirates movie on display at ArcLight Sherman Oaks cinema on April 29, 2011 (installed by Olson Visual). 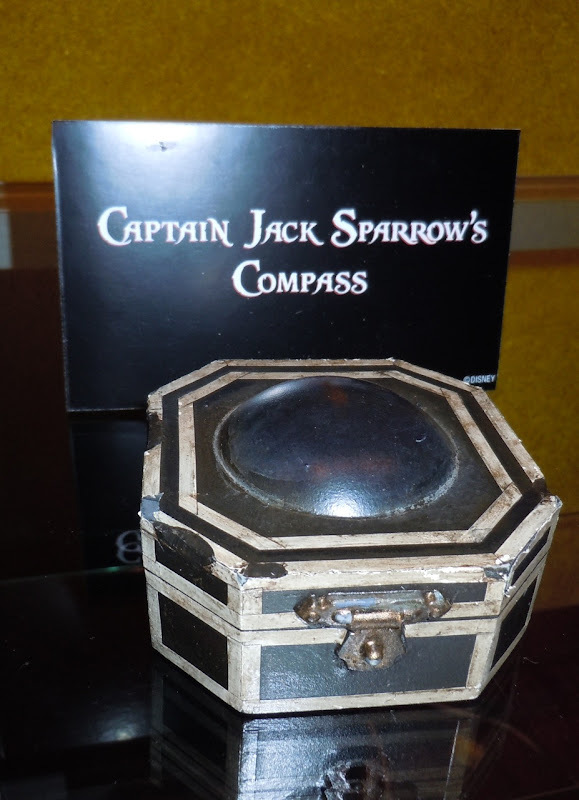 Included in the assortment of original props was Captain Jack Sparrow's compass, although sadly this version doesn't open, so you can't see inside. 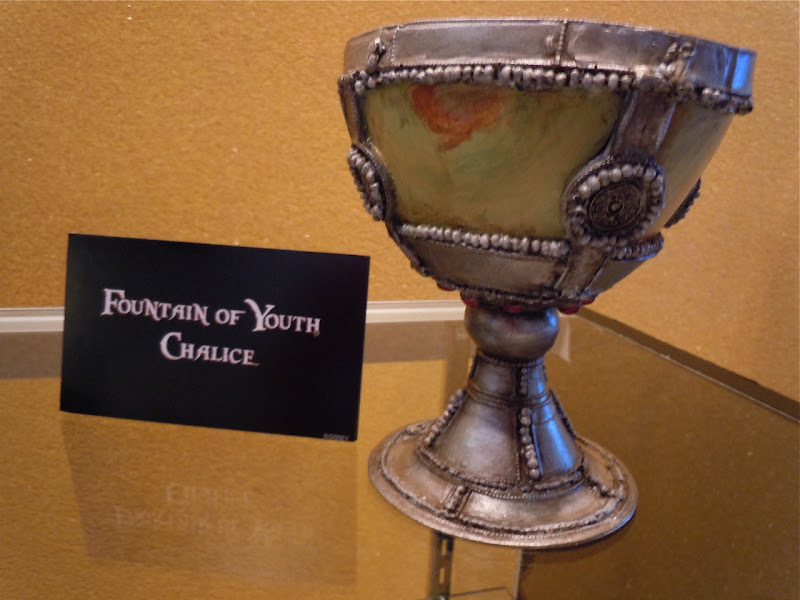 Also on display was this chalice from the legendary Fountain of Youth. 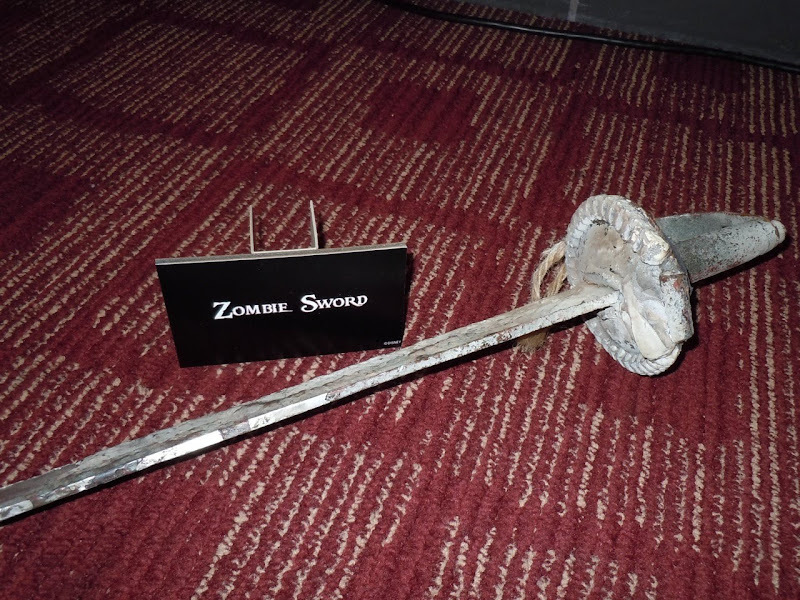 As I mentioned above, this movie features zombies, so here's just a few weapons used by these undead pirates. 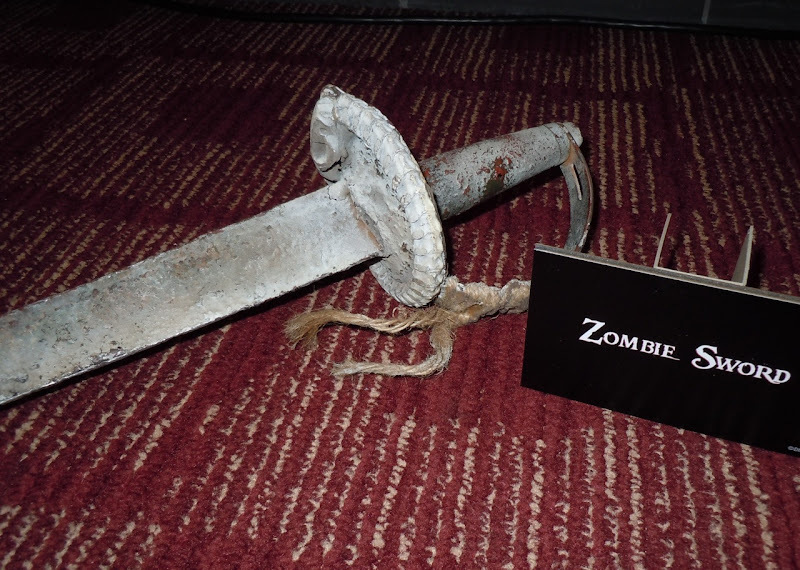 The next two particular weapon props belong to the 'Zombie Quartermaster' in the movie. 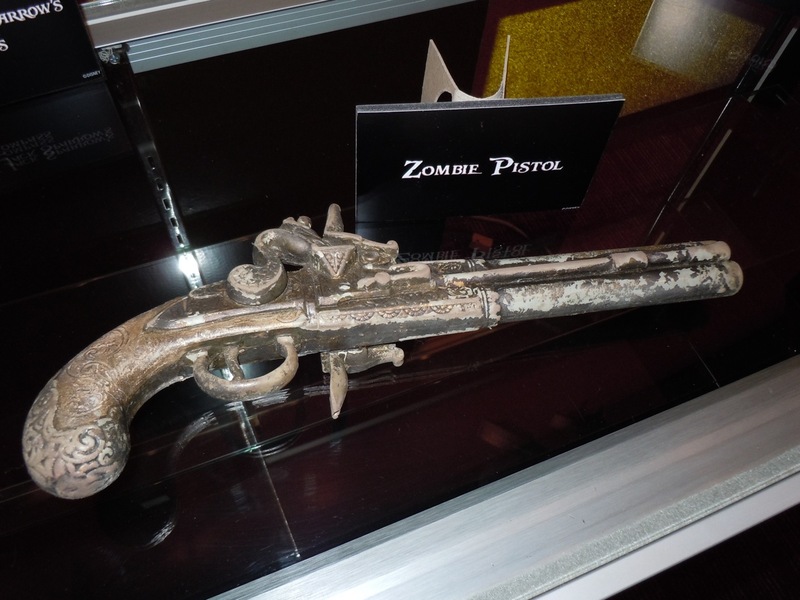 See them in more detail and check out Ian Mercer's Zombie Quartermaster costume here at Hollywood Movie Costumes and Props. 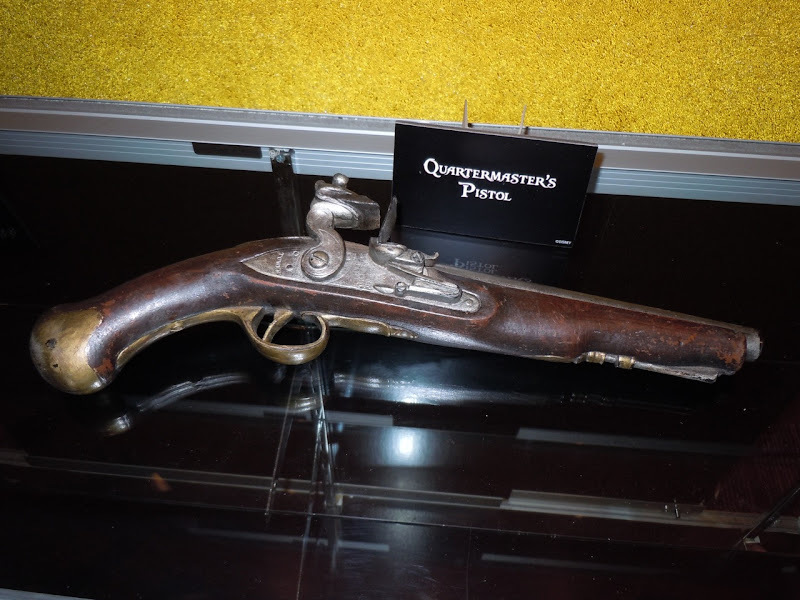 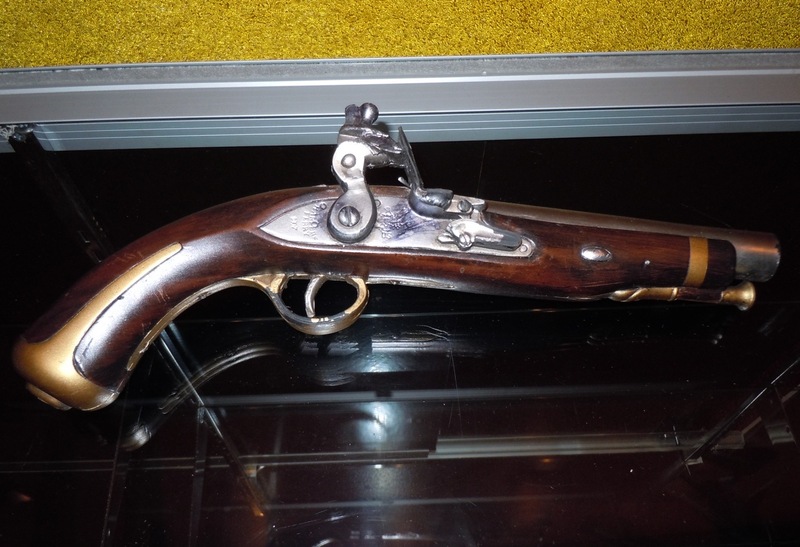 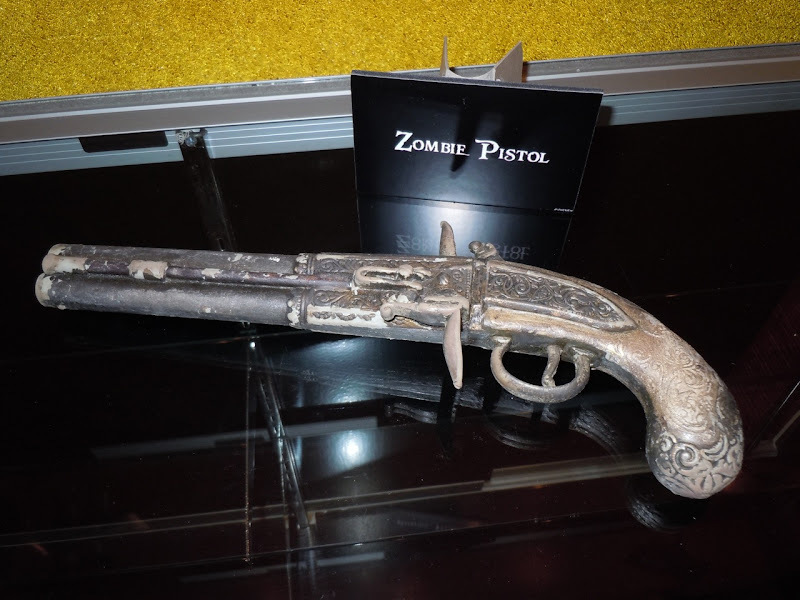 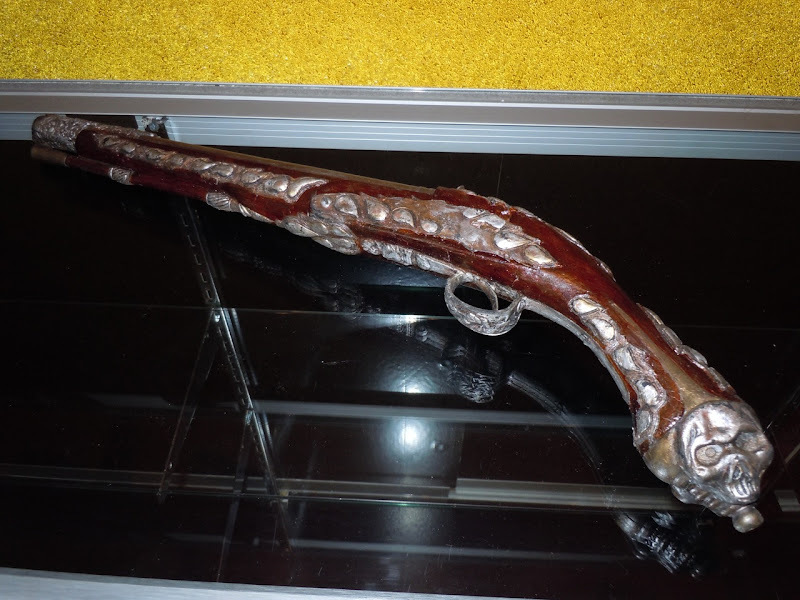 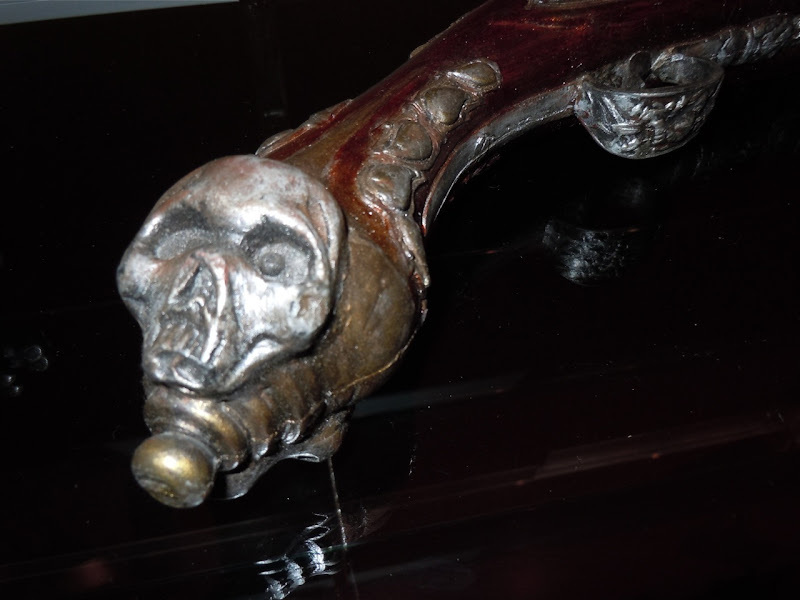 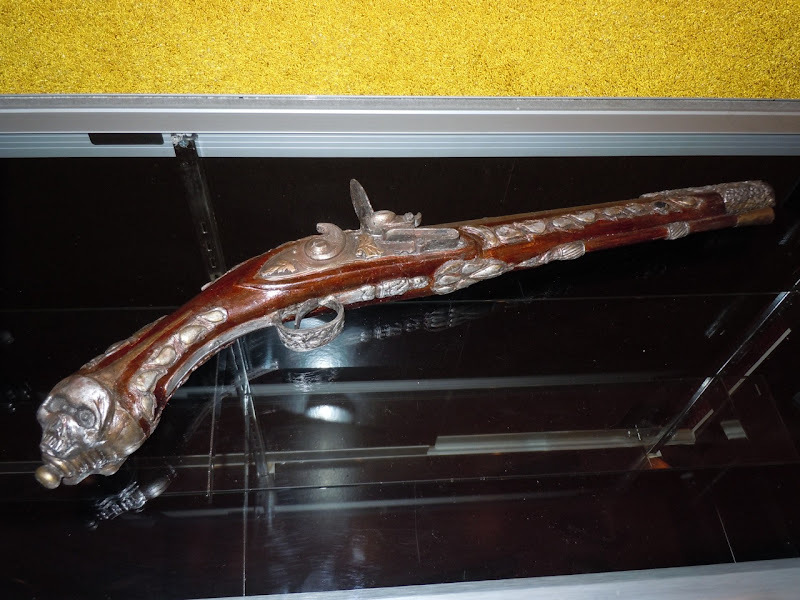 Also included within the prop exhibit was this ornate skull adorned pistol, although until I see the film I'm unsure who it belongs to, although it looks more than just a generic pirate pistol. 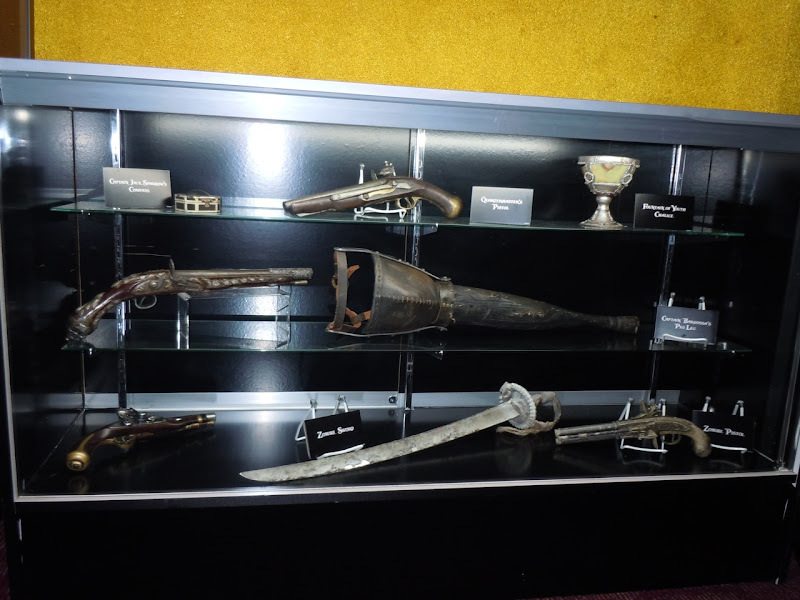 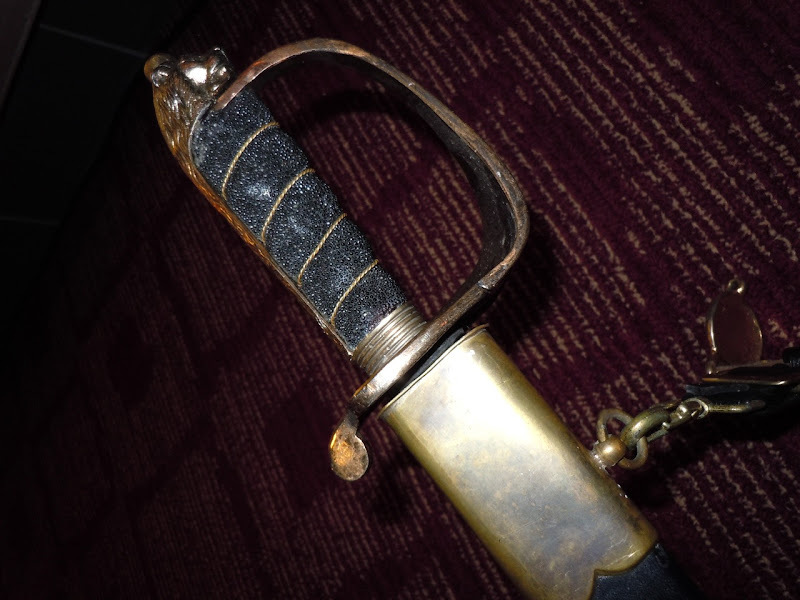 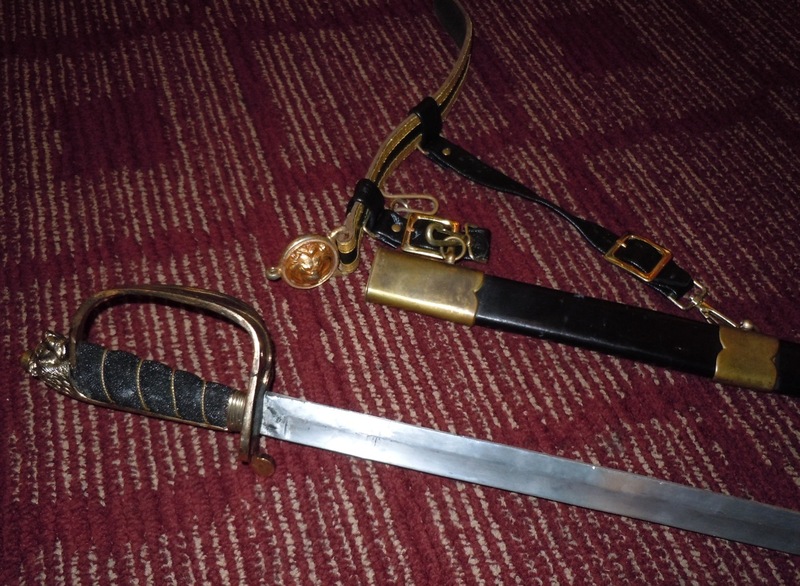 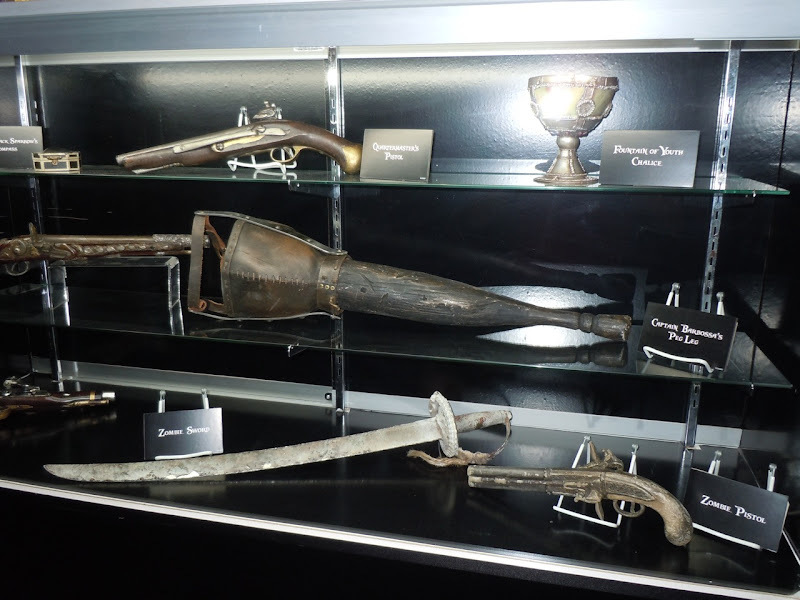 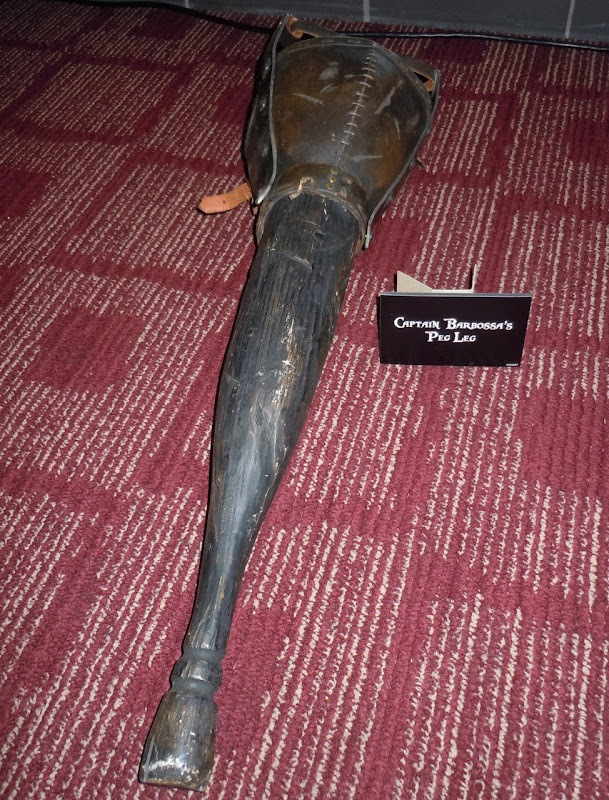 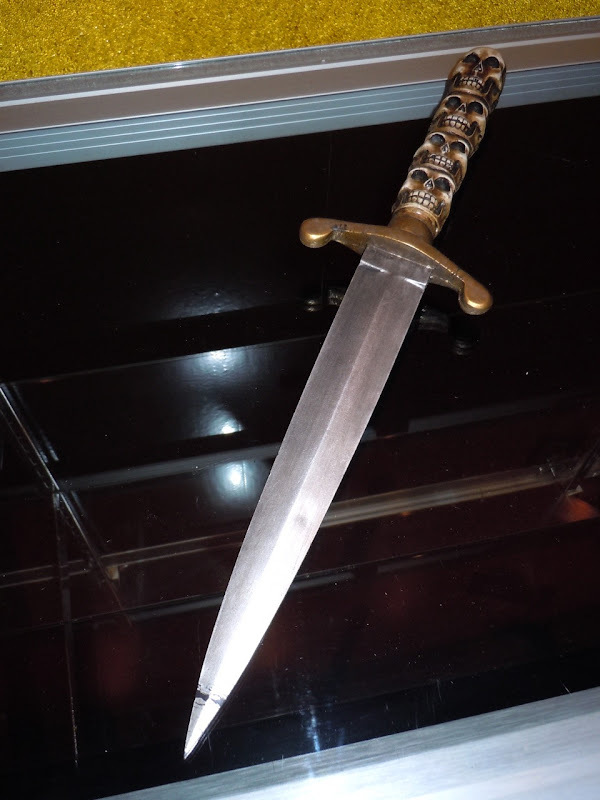 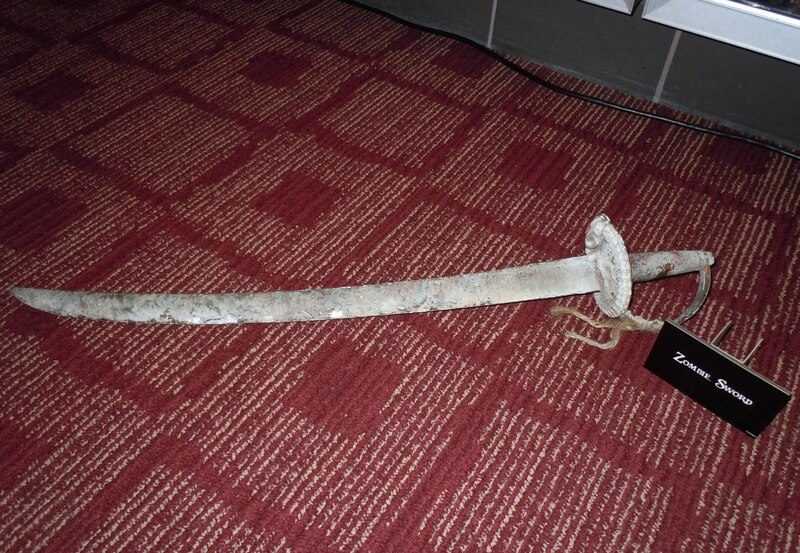 Finally, here are a selection of props belong to 'Captain Hector Barbossa' in the movie. 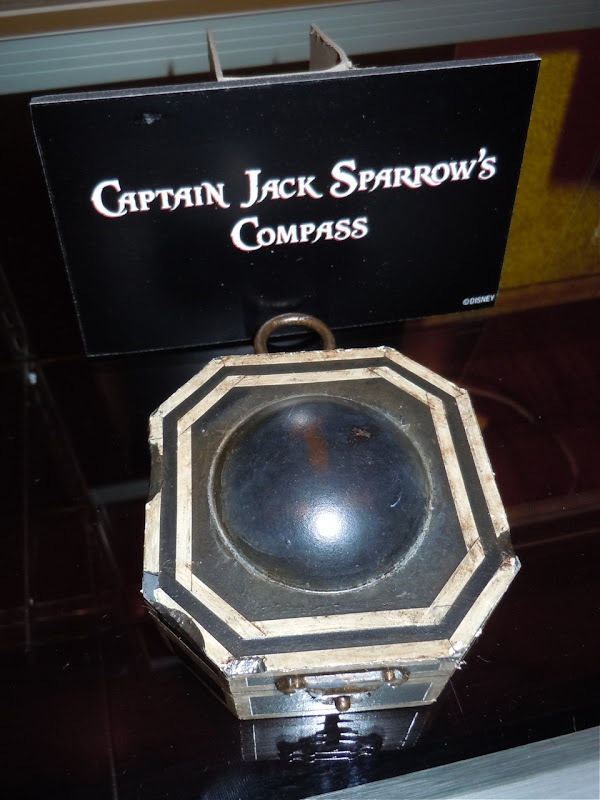 If you like these props, be sure to also check out Geoffrey Rush's new Captain Barbossa costume from On Stranger Tides on display.